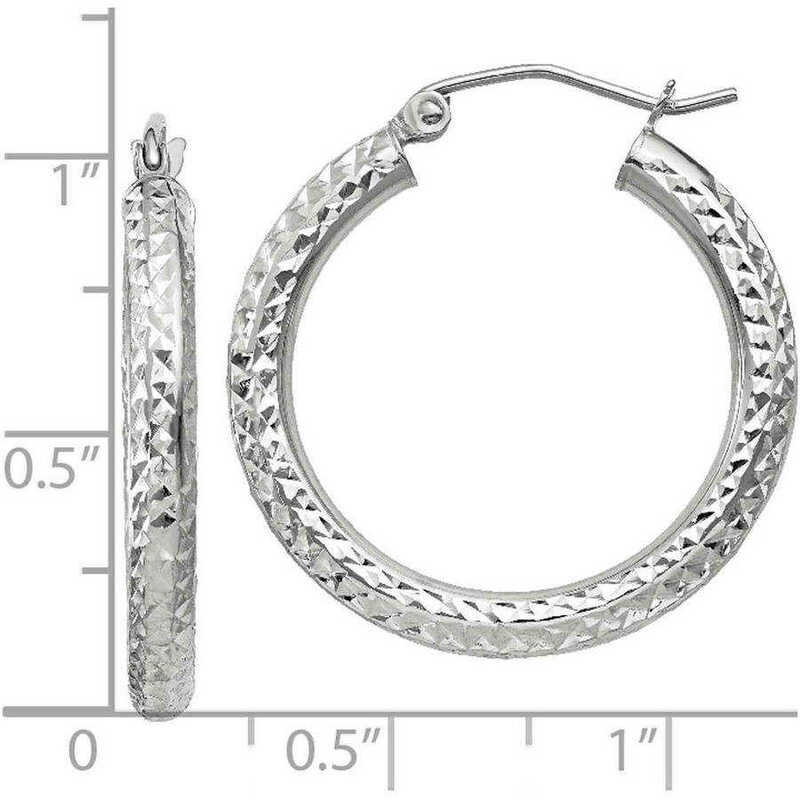 This gorgeous pair of round, tube hoop earrings are crafted in 10kt white gold. These three-millimeter width, lightweight earrings are diamond-cut and feature a high-polished finish, which creates a perfect and lasting shine. They also feature elegant white rhodium. The striking earrings are secured with clutch wire to lock them perfectly in place so you can move freely.